Why You Need a Mobile App for your Business? Why I should create an app for my business? What are its benefits? Whether I should create an Android app or iPhone app? and many other questions. If you were to pose these questions to big corporations, they will show you results, numbers, & analytics. Contrarily, there are many small business owners who are still hesitant about giving the mobile apps a chance. Whether you run a restaurant, an IT business, or a retail store, clearly you need to have a mobile app to make your business a success. What are the Benefits of Owning a Business App? A business app can not only help you gain maximum exposure for your products and services, it can also assist you in developing a stronger relationship with customers. In case, you still haven’t figured out why you must have a business app, listed below are some great benefits that will definitely clear all your doubts, and help you realize the importance of joining the app bandwagon sooner rather than later. Most stats show that the average time spent on mobile devices is rapidly increasing worldwide, year by year. As per the latest available data, an average user spends at least two or more hours on their mobile devices. And, in most of the cases, it is the mobile apps that consume the maximum time of the users. Hence, this can prove to be a great way of increasing the visibility of your business. A mobile app plays a major role in establishing a smooth connection between a brand and its audience. 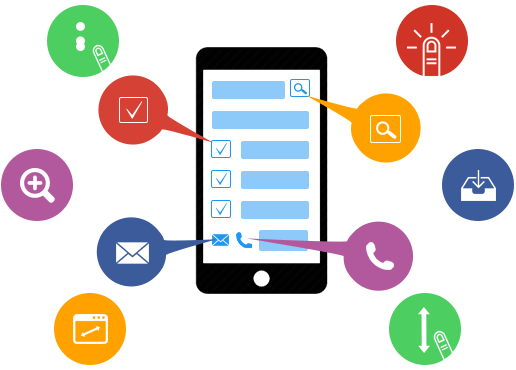 With a mobile app, your customers can not only get easy access to your products, services, and contact information, it also helps you instantly resolve their queries, on the fly. In addition, it also helps you deliver quality services, thus adding value to your business. From shopping to providing general information, apps serve multiple functions. But, the biggest one is that they keep a business right at the fingertips of the customers, giving entrepreneurs a chance to easily reach out to their target audience and efficiently promote their products and services. The added advantage of having a business app is that it boosts your marketing efforts to a greater extent. Earlier, you needed to hire a mobile app development company and pay a lot to get a mobile app created from scratch. 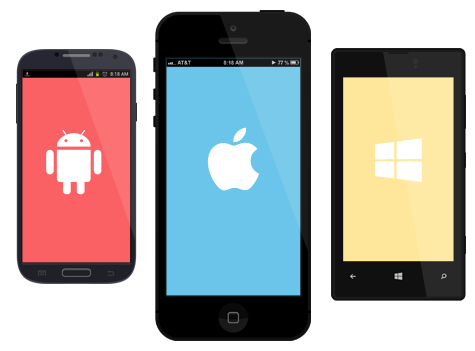 However, with the advancement in technology and introduction of app builders Sydney Premier Web can create your app at a fraction of the costs. What are the Features of a Great Business App? Keep it simple and easy for your users to login to your app through social media accounts, such as Facebook, LinkedIn, Google+, etc. Giving app users an easy way to customize their profile settings, or app’s look and feel, as per their own taste might help you maintain user’s interest in the long run. User experience greatly matters! And one of the best ways of improving user experience is user-friendly and visually appealing app interface. Having a feedback system will help you know what your customers want. So, provide your app users with an option to give their feedback, and let them know that you are open to their valuable inputs. Keep track of user experiences by incorporating analytics into your mobile app, and improve your products and services accordingly. Many users get frustrated when an app starts to malfunction due to a weak network. So, you must integrate content that doesn’t rely on wireless connectivity and allows the users to access their app on-the-go, online or offline. No one likes to wait, and it holds true even in the case of mobile apps. So, it’s crucial that you build a business app that performs smoothly and provides your users with relevant information instantly. 10 + years experience across the web, design and marketing industries.